A day after actor Sathyaraj apologised for his 'abusive' statements over the River Cauvery made nine years ago, Pro-Kannada organisations on Saturday decided to withdraw their protests against the movie 'Baahubali 2'. "We have nothing against the film. Our protest was demanding that Sathyaraj apologise. Now that he has apologised, we withdraw our protests as we had said earlier. 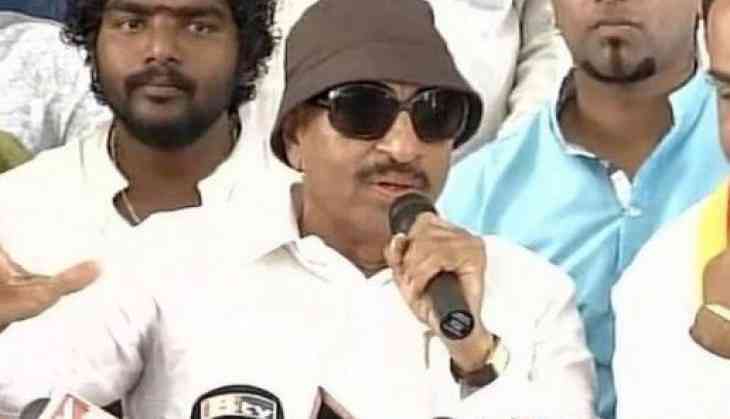 We have no opposition to the movie's release," said Karnataka Rakshine Vaikeke head Vattal Nagraj. "We have nothing against the film. Our protest was demanding that Sathyaraj apologise. Now that he has apologised, we withdraw our protests as we had said earlier. We have no opposition to the movie's release," said Nagraj. The Kannada activists had called for a Bengaluru bandh and statewide ban on the release of the movie ' Baahubali 2'. The film's director Rajamouli had also made a video appeal to the organisations not to stall the movie.